Driving around town during Christmas time, we pass so many beautifully decorated houses. Of course, my kids love the houses that are lit up from the bottom of the path to the top of the chimney, just as I used to when I was younger. I was delighted when my parents did eventually put lights up on our house and I still feel excited when we pull up at mum’s twinkly house each Christmas Day. 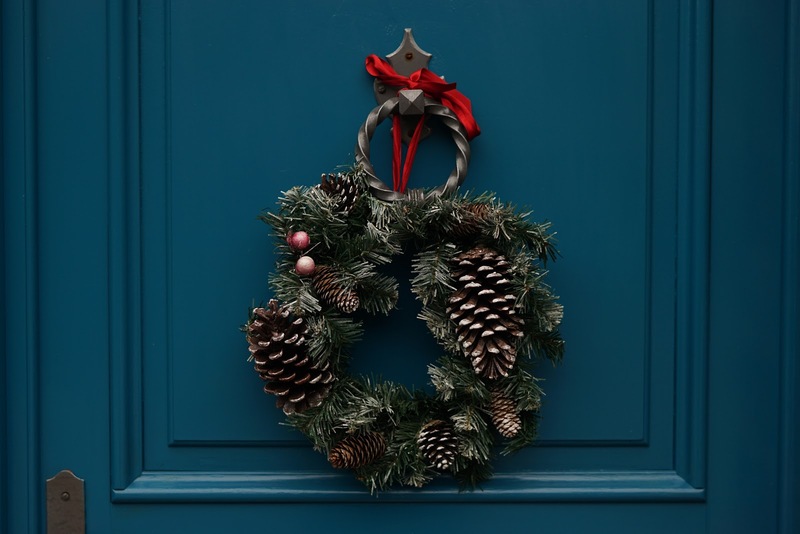 Whether you make it yourself, buy fresh from the local farmer’s market or fake it, you can’t go wrong with a traditional wreath on the front door. I love outdoor Christmas trees. 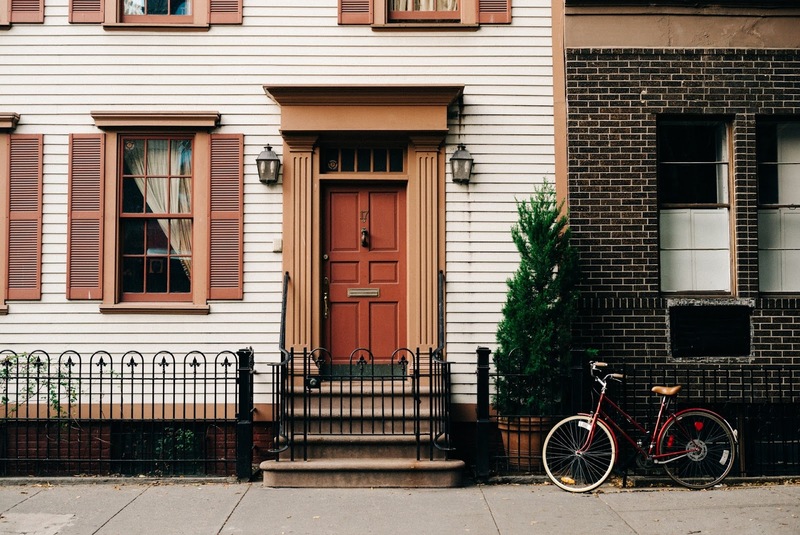 One large pot grown tree makes a statement, or put a readily available mini tree each side of the front door. Alternatively, a pair of holly or olive trees in hessian with a red bow create a festive feel too. 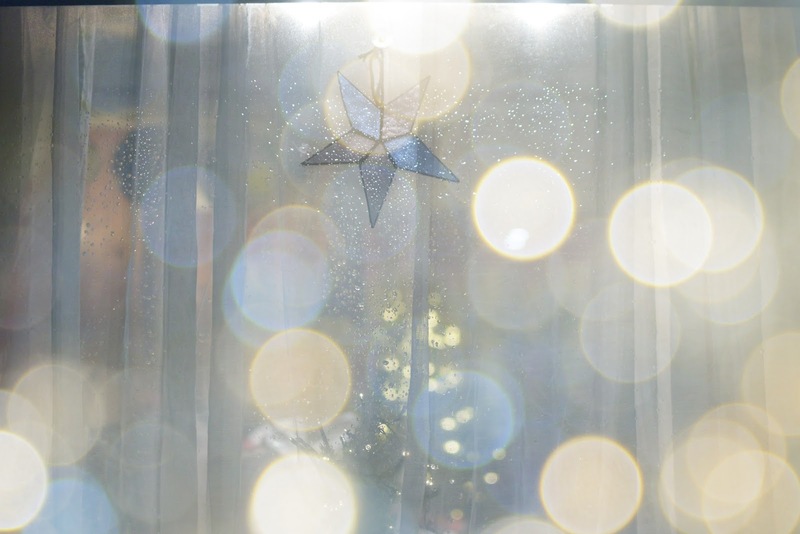 We used to put lights up on the inside of our windows every year. It would take me most of the evening and involve far too much sticky tape and swearing than necessary. 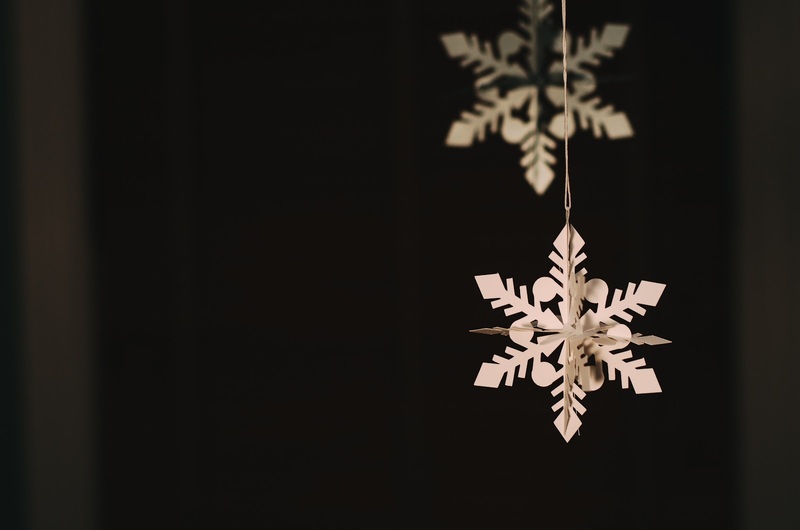 One Christmas, when I was heavily pregnant with Isabelle, I decided to give climbing on the chairs and table a miss and instead I sat with the older kids making paper snowflakes which they stuck onto the window. It looked so pretty and was a lot less stressful so we’ve since kept this tradition. If you still want lights in the window you could add battery lights to a mini Christmas tree or inside a pretty case or jar. I love passing the local Victorian houses and seeing their tall, real Christmas trees traditionally decorated in their bay windows. While we live in a semi detached house of the 70’s, I still put the tree in the window so the lights can be enjoyed by passers by. In the back garden, I like to see less formal decoration such as natural holly trees or star and bauble shaped hanging bird food feeders. 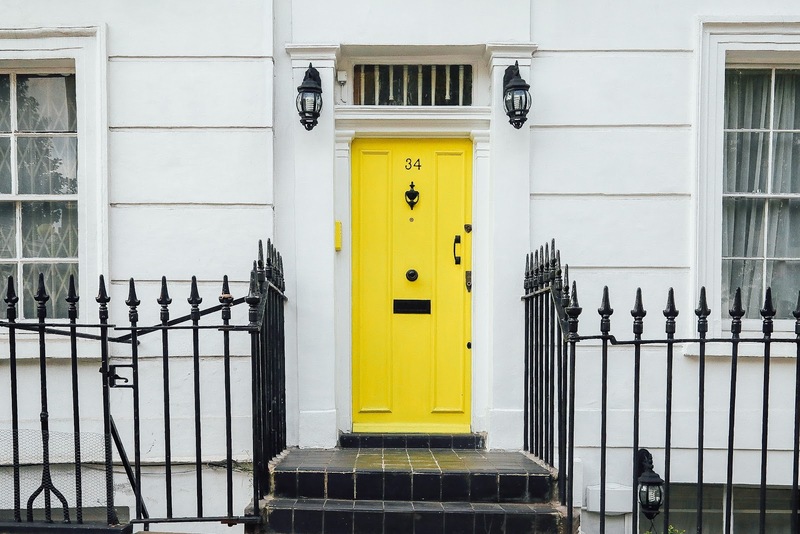 If you’re going to make a feature of the outside of your home then make sure it’s clean and well maintained (disclaimer- this is something that I myself need to work on!). Wash and paint front doors if needed (I really want to go from a stained wood effect to a brightly coloured front door next year). Wash your windows before decorating them. Downstairs windows are easy enough but upstairs windows can mean you need a ladder or window cleaner. 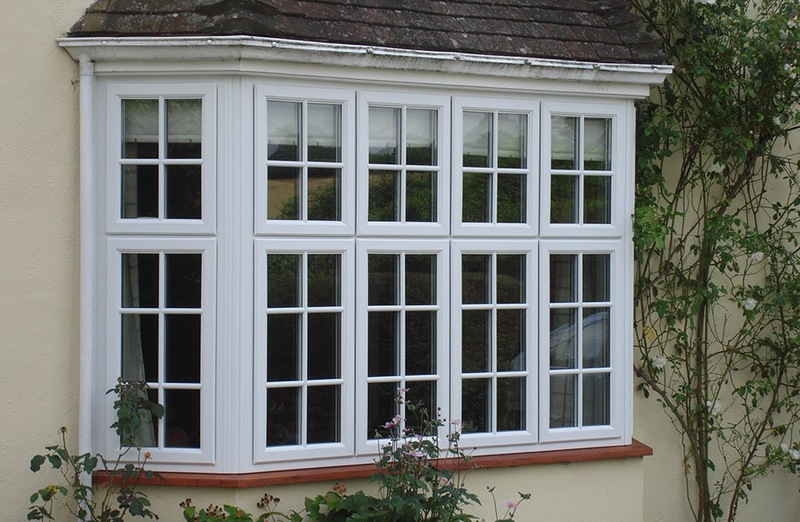 An alternative solution is to install UPVC windows, such as these casement windows from Team Frames Trade and Retail, which open via side hinges and have “easy clean” openings as standard. There’s no need to put off cleaning the upstairs windows with this solution. Paint your surrounds and fascias if needed. 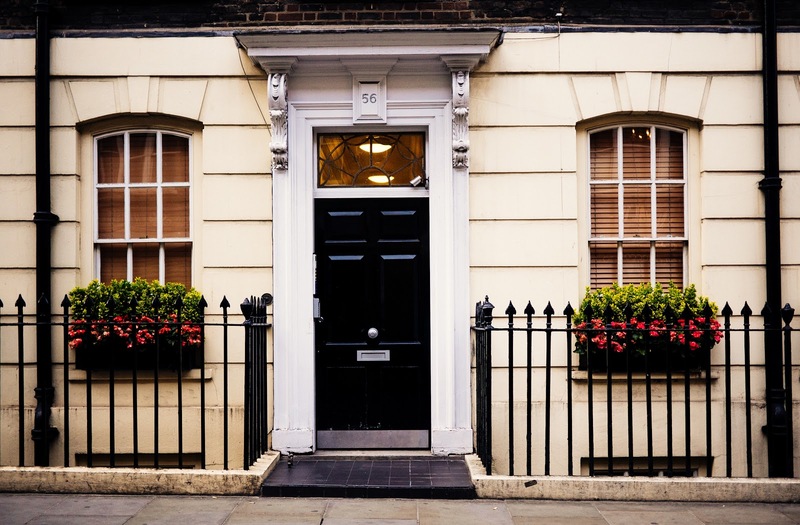 Keep your front path, garden and feature festive plants well maintained. Outdoor battery lights could easily be added for an extra warming Christmas glow. 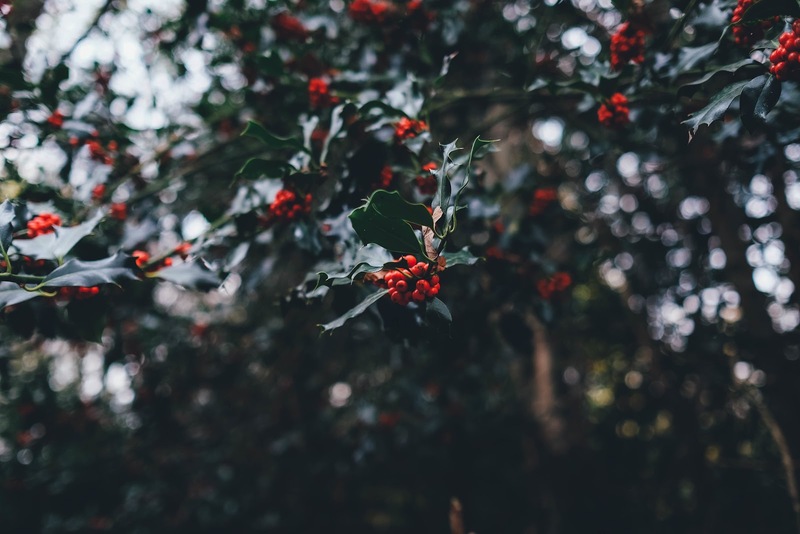 Do you decorate the outdoors at Christmas time? What are your favourite outdoor decorations?